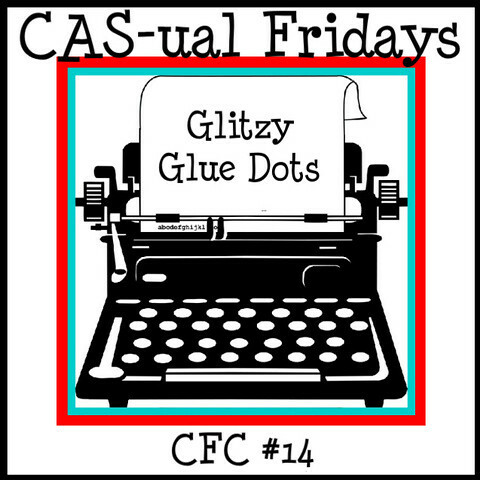 Today's challenge over at CAS-ual Fridays is all about Glue Dots! I love these things! I use them on just about EVERY card. They work for any and everything! And today we are using glitter. Here is my card using glue dots...and glitter! Basically all I did was place 3 glue dots into a cherry shape, and then I sprinkled glitter on top! I pressed the glitter down into the Glue Dot just to make sure it wouldn't go anywhere. 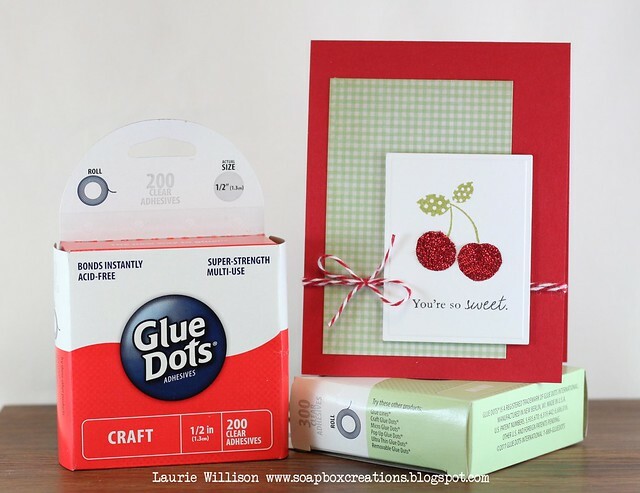 Stop by the CAS-ual blog to check out this weeks Glue Dot prize. 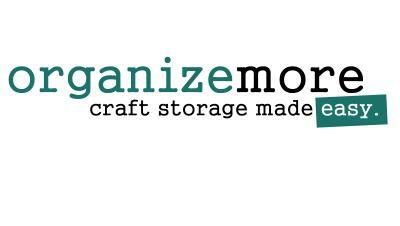 These things are a must have for any craft room! Very sweet card. I did not know Glue Dots came in larger sizes. I've only ever used the small ones from SU. Thanks for the tip. Totally cute, Laurie! Love that you made your own cherries using the glue dots! Too cute! Sweet, sweet, SWEET! Those cherries look so pretty and scrummy that I wouldn't dare scoff 'em! This is great. I love the cherries. Thanks for the inspiration. YUMMY~~~ they are so perfect and of course I love the gingham!!! Such a sweet card Laurie! I adore those sparkly cherries! Cute card, love the cherries! When I worked at my lss a few years ago we did this very thing with glue dots using them on a couple layouts. Super cute! 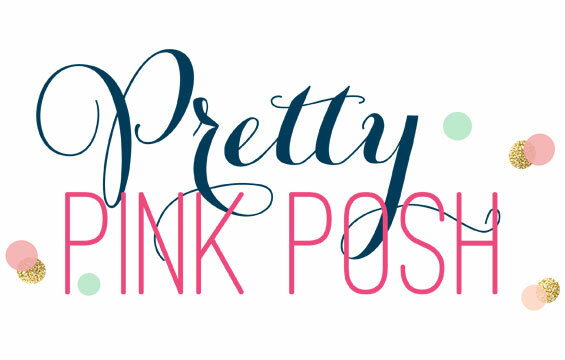 I love the gingham background! Loving those cherries with the gingham. Great combo. Just fabulous! LOVE those sparkly cherries!! Brilliant, I love your card! cute, cute, cute! I MUST try this. It won't look as good as yours, but I sure want to try! Oh, how clever is that! So cool and easy! Love your inventive mind! Too CUTE!!! The sparkly cherries are AWESOME! Gonna have to give this challenge a try! Thanks for the inspiration GF! great card! it blows my mind everytime i see one of your cards cuz CAS doesn't come easily to me. i can't wait to see the next one! Totally love this, Laurie!!! LOVE the paper and the twine!!! LOVE those cherries too:) FUN! This is really cute! 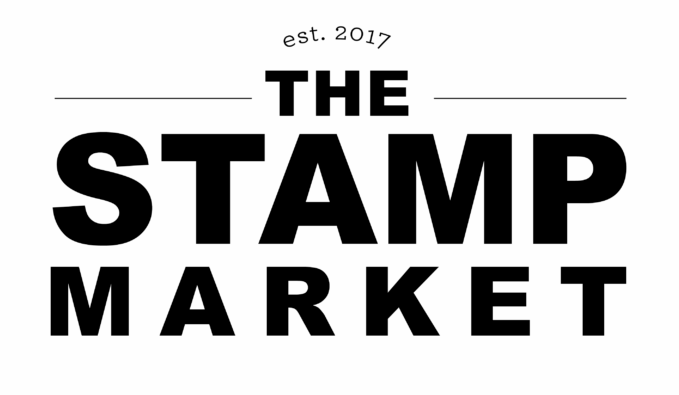 I love the idea of using the glue dots for this technique! I will have to give this a try! Absolutely adorable, Laurie! LOVE the green and red combo, the gingham, and all that glitter! Well, I guess that's just about everything. LOL! Yummy!